If you have any questions about this product by PFIZER EQUINE PRODUCTS, contact us by completing and submitting the form below. If you are looking for a specif part number, please include it with your message. 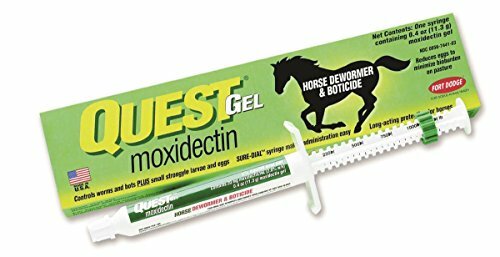 Zoetis Equine Quest Plus Gel Dewormer to Control Both Encysted Small Strongyles and Tapeworms in a Single Dose!